Kay Bailey Hutchinson vs Rick Perry – Who’s Best for Texas? In an earlier post, Hughes explained perfectly well why Kay Bailey Hutchison is the perfect pro-woman candidate who will work for benefit of all women. 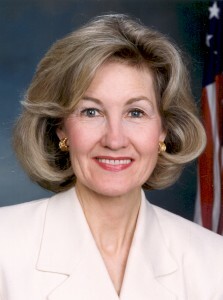 Kay Bailey Hutchinson understands the importance of bi-partisanship. Women’s rights should never be a partisan issue. Now, I want to explain why Kay Bailey Hutchison is the perfect pro-Texan candidate who will work for the benefit of all Texans and why Rick Perry is anti-Texan. Few citizens in Texas like Rick Perry’s policies. In 2003, he received $175 billion from the company CINTRA to build the Trans-Texas corridor that would take away over 584,000 acres of the people’s land through eminent domain to create a massive system of tollroads costing 10-20 cents per mile as opposed to the normal four cents per mile. Bresnahan reported that over 30 counties have formally opposed the construction of the Trans-Texas Corridor. Shortly after the controversy over Perry’s corrosive corridor began, I became of legal age to vote. I cast my voice to decide the 2004 election, but I had to wait for the next Gubernatorial election. In 2006, I joined 60% of Texans in voting against Perry. I voted for Democrat Chris Bell. Unfortunately, that 60% was split between three other candidates, one who treated politics as a joke and another who was full of bombastic gimmicky language. For years, Rick Perry has shown complete disregard for the well-being of the citizens of Texas. The corrosive corridor has been labeled dead but then revived twice during Perry’s time. Perry killed the corridor soon after the Farm Bureau’s endorsement of Kay Bailey – a purely political move for appeasement that I am certain will revive again. Rick Perry’s corrosive corridor would bankrupt Texas, but Kay Bailey Hutchison has always strived to maintain a balanced budget. When she entered Congress for its 104th session, she immediately joined fellow members of Congress in striving to balance the budget and cut taxes. She wanted to amend the Constitution with S.J.RES.1 to mandate a balanced budget. In S.J.RES.49, she tried to make raising taxes more difficult by requiring a two-thirds majority for future tax increase bills. She was only one of four who sponsored S.202 that would decrease federal spending by $41,000,000,000 until the budget was balanced. There are plenty of people who doubt women and who consider women selfish and petty. However, the history has shown Rick Perry to be the selfish and petty politician with Kay Bailey Hutchison the champion of the people. Cast your doubts aside! Kay Bailey knows the importance of business in creating jobs, and she knows her position is to work for the people. I am proud of Kay Bailey Hutchinson, and I always will be proud of her.